NLP provides a set of behavioral patterns, ideas and techniques (like visualization, and anchoring) that help in personal strengthening and removing barriers to performance. By studying these problem-areas, we aim to use NLP in order to create desired programs and patterns of behaviours by altering the neuropathways and linguistics. The result is-performance is heightened and not only productivity improves, but work relations get better. It helps you understand motivation patterns of employees to allocate suitable tasks. Is motivation resulting from the aim or from the hurdles, and how this trait can be utilised. Understand work styles of colleagues and superiors: Do employees prefer to work alone, partially in collaboration with others or as a team member? And using this diversity for maximum productivity. Develop empathy for better working relationships: Develop rapport using fool-proof NLP techniques and be a great person to work with. Work out your burnout using NLP: Identifying if your work is your role or identity, and how it affects performance under pressure. Maintaining work-life balance by deeper understanding of priorities and using time efficiently. 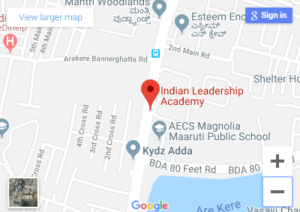 Indian leadership academy is committed to innovate in the area of training and development and has come up with a set of nextgen leadership trainings, workshops and boot camps for students, executives, Managers and senior management. 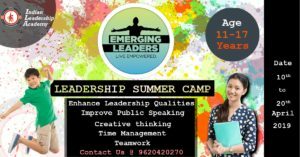 Copyright © 2018 Indian Leadership Academy. All Right Reserved.